Many survivors of suicide suffer not only the grief and loss of their loved one but could also be victim to the stigma our society attaches to a death by suicide. Suicide survivors should not suffer alone, nor in silence. 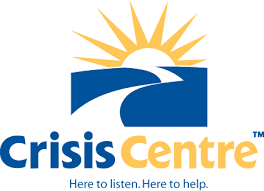 The BC Bereavement Helpline has partnered with the BC Crisis Centre to offer Suicide Grief Support groups to help suicide survivors come together to heal in their unique loss. Common symptoms of grief due to the death by suicide are the questions of “why?” Why did my loved one decide to do this? Other complications include guilt, “what could I have done differently that would have prevented this death?” By bringing everyone together in a support group, healing and companionship can begin. To register please call 604-596-8866. The BC Bereavement Helpline and the BC Crisis Centre are hosting a grief support group for those who have been bereaved by suicide. Being with others who have experienced a similar loss has proven to break isolation and create long-term networks of support. This support group is an 8-week program for up to 10 participants. Spots are limited to 10 and this does fill up. To register, or for more information, please call the BC Bereavement Helpline at 604-738-9950 or email us at contact@bcbh.ca. Please click the button below for recommended reading materials on coping with a loss by suicide. "It was nice to talk with others going through similar experiences who could relate to what I’m going through." "Thank you for providing this greatly needed service." "I felt what I learned and the connections I made were so beneficial and would be helpful to others." "I have realized how helpful and supportive it is to communicate with others who are experiencing a similar situation." "It was beyond helpful [the support group], from start to finish. I could have never imagined finding such an amazing safe and supportive group." "Both facilitators had experienced loss from suicide before, which was amazingly helpful. They let us talk freely and openly, without judgement, and they know what we’re going through. (*BCBH support groups strive to have at least one facilitator who has experienced similar losses. We are not always able to find two.)" "It’s been something I look forward to and crave and has been an amazing gift to share in a space where people understand! Thank you."